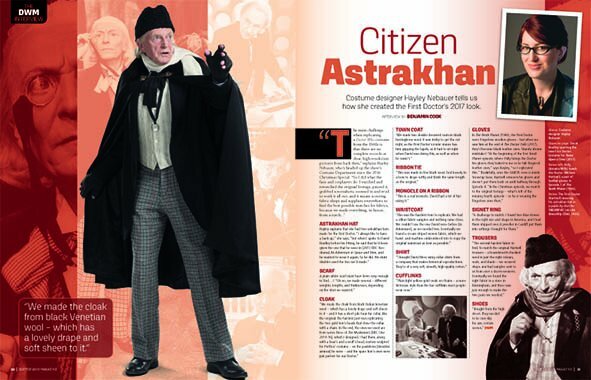 Hayley's recreation of the 'First Doctor' costume, worn by David Bradley features on the cover of the Doctor Who Magazine, along with the headline of an article interviewing Hayley about her work. Hayley's spacesuit costume design, worn by Peter Capaldi as for episode 5 of series 10 of Doctor Who features on a special edition magazine dedicated to Space episodes. Within the Magazine there is a four page article about the episode, the costumes, and an interview with Hayley.